18 Days until the Barrie Colts 2018-19 Home Opener! 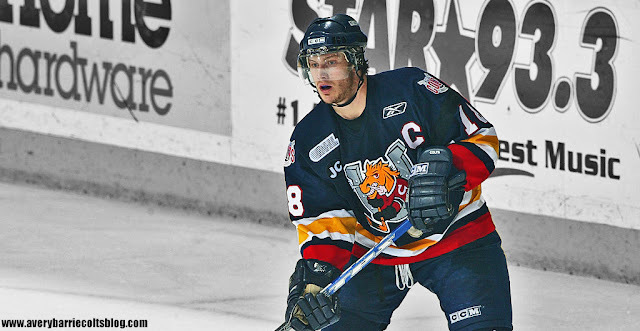 (Bryan Little) #OHL - Very Barrie Colts | A website covering the Barrie Colts of the OHL. 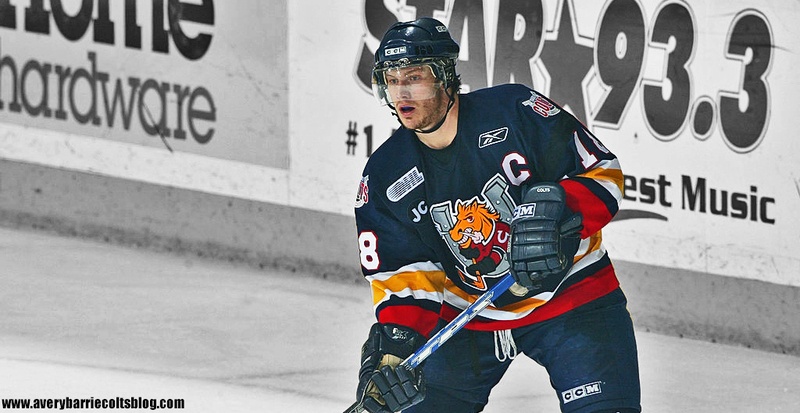 Bryan Little wore 18 with the Barrie Colts. The Ponies selected him at the 2003 OHL Priority Selection draft, 50th overall. Little made his Colts debut season in 2003-04 where he went on to score 34 goals and 24 assists for a total of 58 points in 64 games played. His 34 goals that season is the 3rdmost in team history. Only Denis Shvidki (35) and Andrei Svechnikov (40) scored more as rookies. The next season would be his last in Barrie before moving on to the pros, posting 41 goals and 66 assists over 57 games that year. 2 points shy of his OHL career high but he managed to reach that total in 7 less games. Over 2007-08 he would split his time between the Atlanta Thrashers and the Chicago Wolves. He helped the Wolves to go on to win the Calder cup that season. Little would play in 3 more seasons with Atlanta before the team was relocated to Winnipeg. Little has played in 754 regular season NHL games, posting 200 goals, 275 assists for a total of 475 points. His 326 points is the 3rd most in (modern) Jets franchise history. He also has the 2nd most goals with 132 and 3rd most assists with 194.